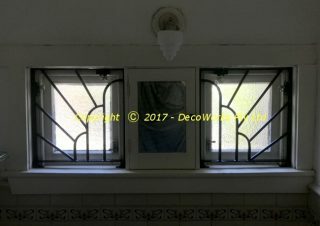 A client wanted some Art Deco style removable security bars for her bathroom windows. Because it was a block of flats she wanted the removable bars mounted on the inside of the windows so that the outside appearance of the building wasn’t affected. The security bars use a simple ODEON Art Deco design which is mirrored in the opposite window to achieve a more balanced look. 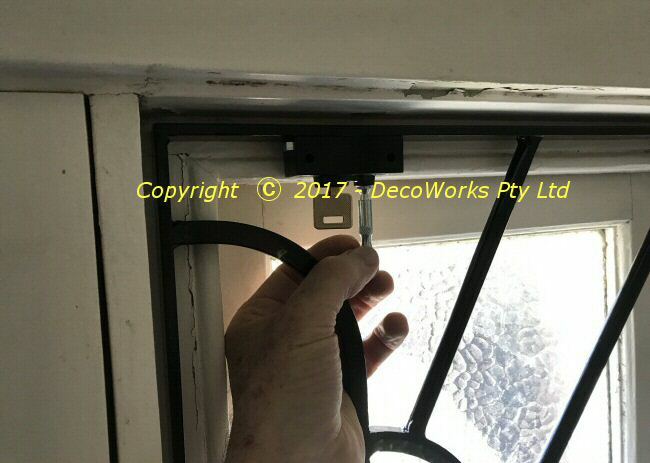 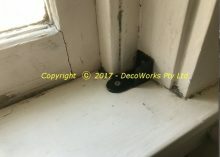 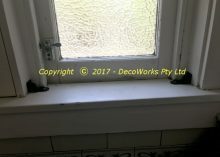 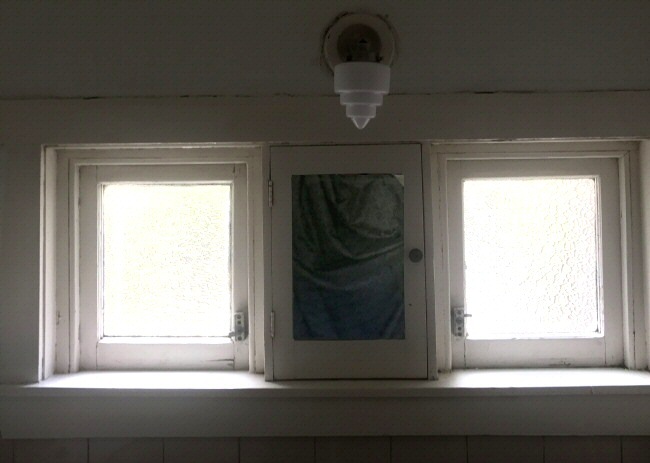 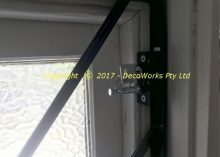 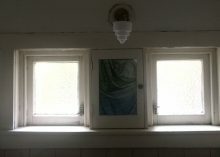 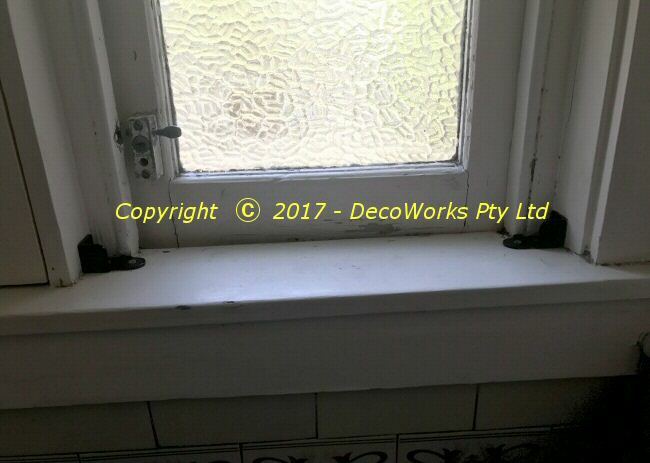 The removable bars are held in position by brackets fixed into the bottom of the window frames and locked in position by two standard window locks attached to the top section of the security bar frames. 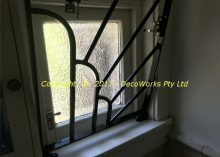 The bars can be removed by removing the two pins in the locks and pivoting them forward and out of the bottom brackets. 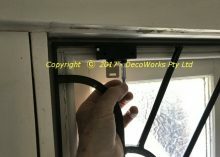 The pictures below illustrate how the removable bars are fitted/removed.